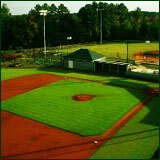 TMT Enterprises, Inc. is Northern California’s premier supplier of baseball and softball playing surfaces. Candlestick Park Infield Fines & Pac-Bell Infield Fines are the two most popular infield surfaces in Northern CA. 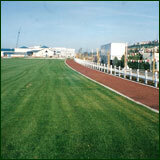 We also offer these materials with conditioners such as Turface and PHP Organic Aggregate Binder. Golf Course Materials by TMT Enterprises, Inc.
For more than forty years, TMT Enterprises, Inc. has been Northern and Central California’s premier supplier of root zone mixes, top dress materials, bunker sand, over-seed mixes, organics, aggregates and more. You can trust our vast experience to know the types of materials you need and deliver the consistency you require, load after load, year after year. TMT Enterprises, Inc. has been Northern California’s leading commercial soil blender for several decades. Producing specialty mixes for nurseries, golf courses, landscapes (interior, exterior, on-grade, on-structure, roof-top and more), parks, baseball and softball fields, running tracks, jogging trails and more. Whether you need a simple Class A Topsoil, USDA Sandy Loam, Amended Topsoil, or a more intricate lightweight soil for an on-structure application, or maybe a bio-swale filtration media or a 100% organic soil mix for roof-top planters or organic gardening, TMT Enterprises, Inc. has the high-quality materials. 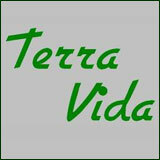 Terra Vida brand of living soils by TMT Enterprises, Inc. 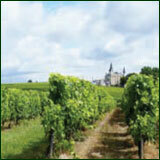 In 2008 we introduced our own complete line of truly living, all organic soils for every application. Organic farmers and gardeners have known for years the value of a diverse population of microorganisms in the soil. They understand that developing healthy soil reduces the need for chemical fertilizers and reduces water consumption. Click below to learn more about how these revolutionary materials can benefit your project and our environment. TMT Enterprises, Inc. has been Northern California's licensed producer of CU-Structural Soil (AKA CU-Soil) since February of 1999. Since then we have supplied more than 150 different projects around the Bay Area, Sacramento, Davis, Fresno, Visalia and even as far as Las Vegas, NV. 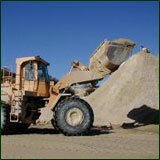 TMT Enterprises, Inc. carries the widest variety of aggregate paving materials in Northern CA. Decomposed granite and assorted types of crushed aggregate fines in varying shades of gold, tan, brown , red, gray and blue, there is a material available to suit most any application and design. All of these materials are available pre-blended with our own PHP™ Organic Aggregate Binder and as NexPave™ wax coated aggregate paving. 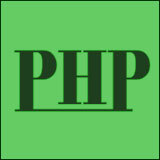 PHP Organic Aggregate Binder™ is the nature-friendly organic binding agent. PHP™ is the non-toxic, colorless, odorless answer for your natural aggregate pathways, driveways, picnic areas, patios, ball fields and more. PHP acts as a natural adhesive when blended with different types of aggregate fines, bonding the particles together, creating a more durable, wind & weather tolerant surface. In baseball and softball fields PHP helps to pull moisture off the surface and holds it in the profile providing an excellent playing surface while minimizing dust and erosion issues. 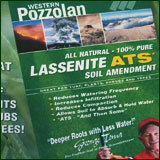 Conserve water with Lassenite ATS Soil Amendment. 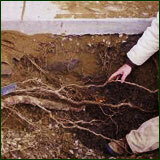 The revolutionary, natural approach to improving air and water porosity in any type of soil. It's unique ability to absorb large volumes of water, later releasing all of that water back to the soil acts like a reservoir within the root zone, greatly reducing irrigation requirements. Lassenite ATS performs extremely well as an amendment to any type of soil mix. Landscape soils, nursery mixes, sand-based root zones such as golf greens or soccer fields and green roofs are just some of the applications that can benefit greatly from incorporation and top dressing of Lassenite ATS. 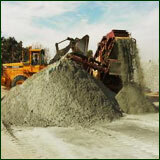 We can supply your project, no matter how big or small, with any type of construction aggregate or sand you may need. 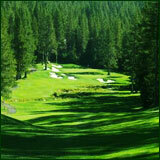 TMT Enterprises, Inc. has material sources throughout Northern California and Nevada for any of these materials. Road base, drain rock, permeable materials, any type of sand, you name it, if it can be hauled in dump trucks, we can get it for you. Call us today for supplier-direct pricing on gypsum, lime, compost and other bulk fertilizers for any agricultural application. TMT Enterprises, Inc. can supply these materials throughout Northern and Central CA and Northern Nevada. ©Copyright, 2011. TMT Enterprises, Inc. All Rights Reserved.